Go to File > Embed. Click on Embed. Copy the embed code shown and you are done. 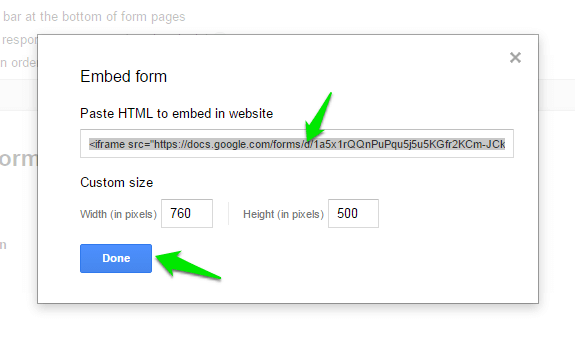 Replace the existing custom code with your google forms embed code and click on Save. Click on Save in side bar to save these settings and publish.